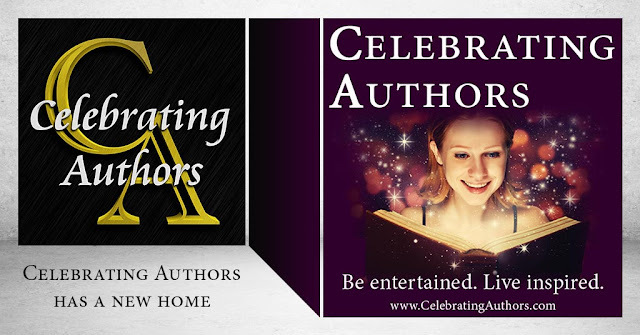 Celebrating Authors: Celebrating Authors has moved and is better than ever! Starting March 13, 2017, Celebrating Authors is official running at a new location. Join us at CelebratingAuthors.com. Not only have we moved, but the site is coming back better than ever! Storytelling is one of the oldest professions and it will never be going away. For these reasons, we’re proud to offer a place for authors to showcase their work. But it is so much more than that! It is a venue for like-minded individuals to come together in their passion for books! Not only is Celebrating Authors dedicated to bringing you books for your TBR list through book spotlights and author interviews, but we’ll be showcasing articles on the writing craft, the publishing industry, and posts that encourage writers to keep going. The new site will be all about celebrating life and literature. It’s a place where readers and writers come together, where entertainment creates inspiration. And yes, it was said that way on purpose. Of course, it is inspiration that fuels the creative process, but it is by birthing these creations into the world that it touches and affects people’s lives. For Authors – Join a community and promote! Self-promotion has received a bad rep over the years, but that doesn’t need to be the case at all! In fact, if you don’t believe in your work, why should anyone else? Celebrating Authors celebrates you and provides a venue for you to share your work for free. For more information visit http://www.celebratingauthors.com/join-the-community. For information on our affordable advertising options, visit our Be Featured page for details. We’re even open to authors submitting premade posts! For guidelines visit our Submissions page. Celebrating Authors’ features will showcase any format: e-book, audiobook, or print book! Have your book available on more than just Amazon? No problem! We’ll promote your book on other popular retailers, such as Barnes & Noble, iBooks, Kobo, Google Play, and Smashwords. For Readers - Find your next favorite author! You benefit from being here because you get to know some amazing authors, learn about the writing industry, and of course, you get books…lots of books! Not only are books featured on the site, but you can browse author’s work on the Celebrating Authors Facebook group! For more information visit http://www.celebratingauthors.com/for-readers.